Advertising and social media startup Camber Tech is launching its freemium service called Adlibrium Dailies, a daily deal service for mobile that distributes deals through mobile applications. The service displays the offers as standard banner ads within apps through remnant mobile ad inventory via ad exchanges, as well as via email to its own subscriber base. 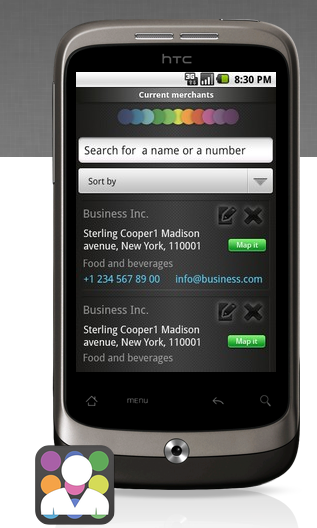 When tapped, the banner ads open up the advertiser’s offer, discount or coupon. The service is live now in San Francisco, L.A., New York, London, Dubai, Mumbai, Bangalore, Singapore and Sydney. Adlibrium launched into private beta on Android back in August with a focus on the small-to-medium sized business market. The platform lets local businesses create fixed price and time-sensitive offers and ad campaigns similar to Groupon Now. The difference is that Adlibrium doesn’t take commissions – instead, the startup charges for setting up a new campaign ($10, $50 or $100, depending on the type of ad, ranging from text-based ads to exclusive offers) and for the level of targeting capabilities the advertiser chooses. Offers and ads could be anywhere from $20 to $1,000 depending on how long they run and how narrowly targeted they are. For example, ads could be targeted only to those users within a 5-mile radius from a specified location. As of today, the company says it now reaches 4 million consumers through its network (both via email and mobile combined). More info about this service is available here. In addition, Adlibrium is also now launching an on demand local salesforce platform it calls Adlibrium Agents. The service, available as an Android App, is aimed at SMB service providers and is open to anyone who provides services to this market.